Sadly, I read another article this morning about combustible dust related deaths, "Second of Seven Workers Injured in GP ComDust Blast Dies". This time, in the wood pulp/paper industry. We list on our website the number of industries we serve in our process safety and nuclear safety business. Among these, industries requiring process safety management or risk management services for ComDust or flammability issues include: pharmaceutical, food, agricultural, wood pulp/paper, plastics/polymers, cosmetic, and metals/or manufacturing, in general. These are just a few of the many stories out there. Yet, plant managers from every line of work call and tell us they can't convince management to have a simple, explosibility screening test (go/no-go) done. Too afraid of opening a costly can of worms? What are the savings of not? Injuries and lives lead the list of reasons why, obviously. Thinking you will wait for OSHA or some other Authority Having Jurisdiction (AHJ) to require it of your plant is too late. 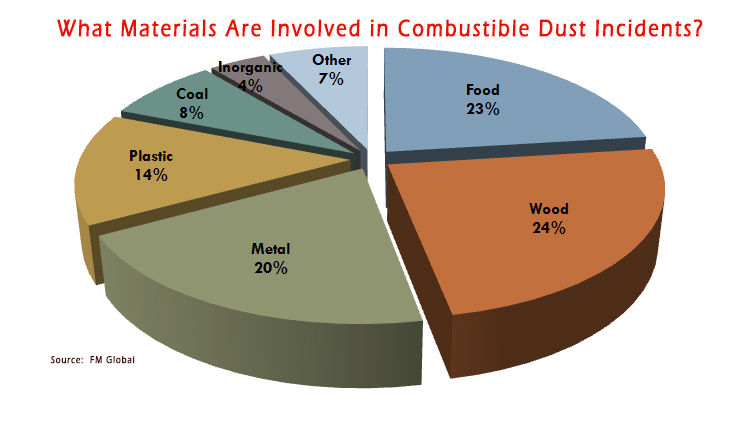 The U.S. Chemical Safety & Hazards Investigations Board (USCSB) reports at least 281 combustible dust fires and explosions occurred in general industry between 1980 and 2005, which caused at least 119 fatalities and 718 injuries in the United States. Per media reports from 2008-2012, another 50 incidents resulted in 15 deaths and 127 injuries. 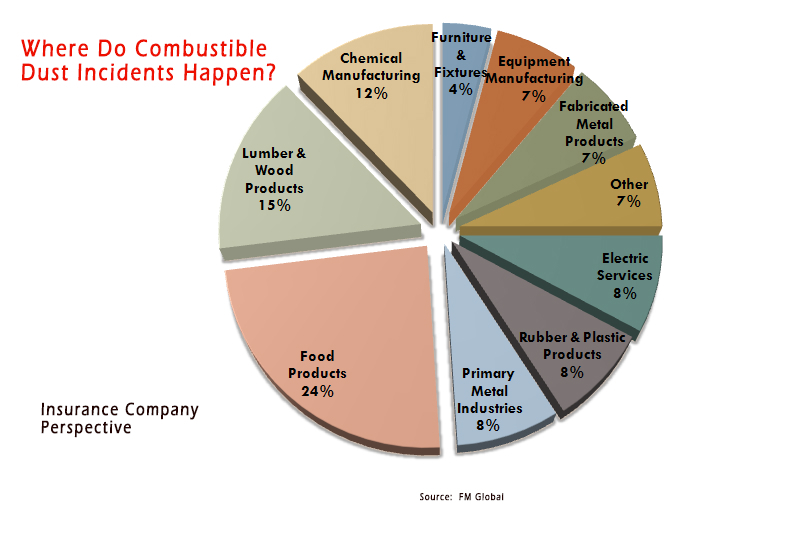 These incidents occurred in a wide range of industries and involved many types of combustible dusts. Still, there is currently NO national standard specific to combustible dust hazards for worker protection; though OSHA has 29CFR 1910.272 (1987). So, who is responsible for preventing combustible dust explosions in the work place? Who has control?? Everyone. Plant/facility owners, upper management, employees, insurance companies, government regulators (local, state and federal). The determination of compliance and retroactivity is determined by the AHJ. The AHJ can be insurance companies, building inspectors, fire departments/fire marshals and OSHA. I've written about the types of testing we do, from basic explosibility screeing tests (go/no-go) to the whole suite of tests, and about how to collect and ship dust samples. We are happy to answer any questions you may have for your facility, or your higher ups, in the effort to be safe. A process hazards analysis (PHA) can be the basis for your entire facility safety plan to mitigate any risk as well. Would love to not read another story on ComDust injury or death. Would love it.